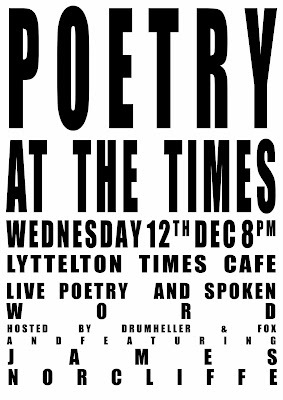 First of all a big thank you to everyone who came to Poetry at The Times this week. Those of you who did, saw and heard an interesting variety of poetry and stories from our featured poets - Andrew Coyle, Rebecca Reider, Doc Drumheller and of course James Norcliffe. Unappreciative volleyball clubs aside, it was a fun night and the audience appeared to enjoy getting to peek behind the scenes of some of the poems being performed. 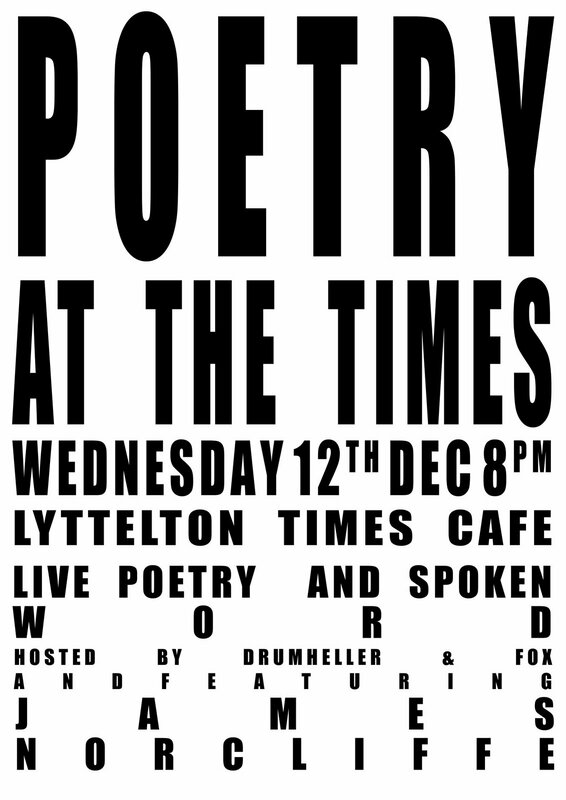 Stay tuned for further nights of poetry at the Lyttelton Times Cafe next year. Over the next wee while we're also going to post some photos from various open mics this year so keep an eye out for yourself if you've attended any in 2007! If you don't want to be famous, please let me know. Christmas is often stressful, especially when it comes to the pressure to buy presents for family and friends. If you're wondering what to give to folks this year, how about a subscription to Catalyst?! We offer subscriptions at a discount for 2 issues at a time - within NZ it's only $40 (incl. postage) and international subs are $50 (incl. post) . Give someone the gift of poetry this year! And at the same time support one of NZ's most vibrant and interesting lit-journals.